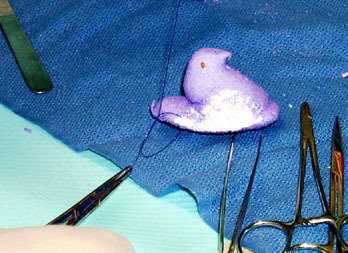 Because of minor problems with staple efficacy, remaining Peep wounds were closed with Prolene sutures. 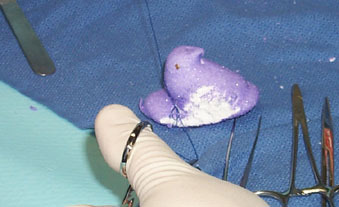 Standard surgical square knot was tied to secure suture in caudal wound margin. 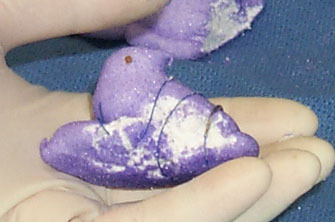 Knot was reinforced with multiple ties. 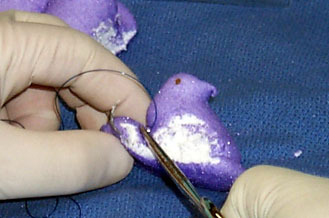 Wound was closed with a continuous suture stitch.